Alchemy is the science of transforming metal into gold, and the company Alchaemy, does just that. They produce custom built Apple products and craft them to your liking. They will customize products like the Apple iPad, iPhone, Macbook Pro, Macbook Air, Mac Mini, and Beats By Dre Pro headphones. The customization takes around 2-3 weeks so be prepared to be without your beloved device for that time. You should also be aware that any type of customization will void that manufactures warranty, but Alchaemy offers a 120 day warranty on their customization and repairs. Not only can they turn your device a different color, but they can also laser engrave it and even at Lytz. 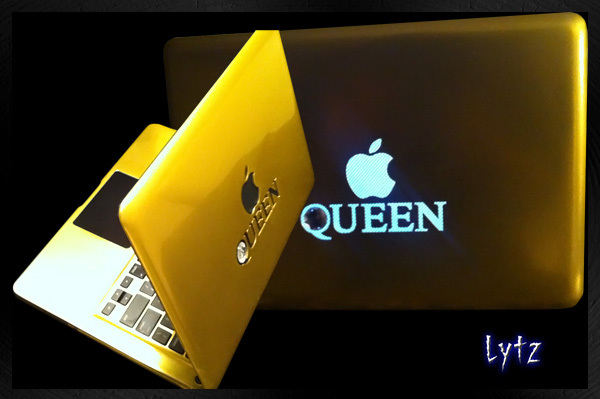 The Lytz customization laser cuts letters out of the top of the Macbook and creates an acryllic fill providing a back-lit effect similar to that of the apple logo. Prices range from $150 for basic coloring and can get up to $799 for24kt Gold plating. 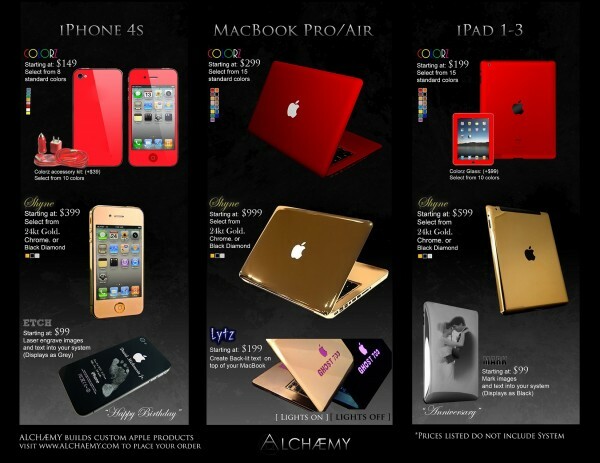 If your in the market to customize your electronics be sure to check out Alchaemy!